People often asked what fans best fits their use. The answer to that question is diverse since each specific fan models are meant for different applications. There are fans that are used for a PC’s case (thus called case fans), then there are the ones for the CPU heatsinks and liquid cooling radiators, and graphics cards. In this post, we are going to take a look at the different fan models offered by Noctua and see which ones would be suitable for your needs which they have talked about in their website. There are two main specific fan application types that we will talk about and these are: pressure and airflow. Pressure-optimized fans are suitable for CPU heatsinks and radiators while on the other hand, airflow-optimized fans are excellent as case fans and in other low- to mid-impedance applications. For 120x15mm, 140mm and other sizes, there is no such distinction as it only applies to 120mm fans. For example, both the NF-A14 and the NF-P14 redux models are true all-rounders that work excellently both for case cooling and for use on radiators and heatsinks. 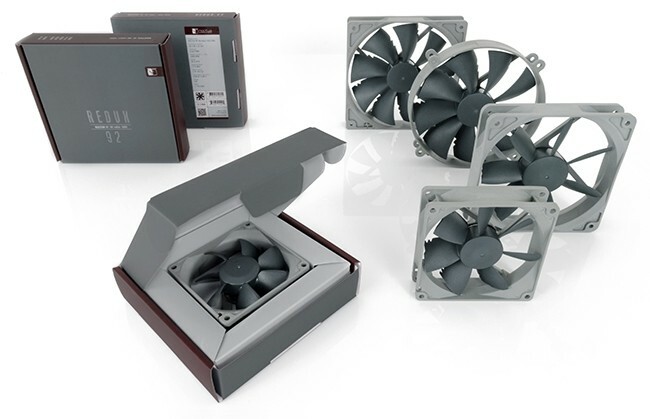 Noctua offers a wide selection of fans for various demands and purposes. As we are all familiar with the standard line of premium-quality quiet fans that are easily recognizable by the signature brown color scheme. Redux: streamlined, more affordable packages for price-conscious users, grey colour scheme. Comes with less accessories. 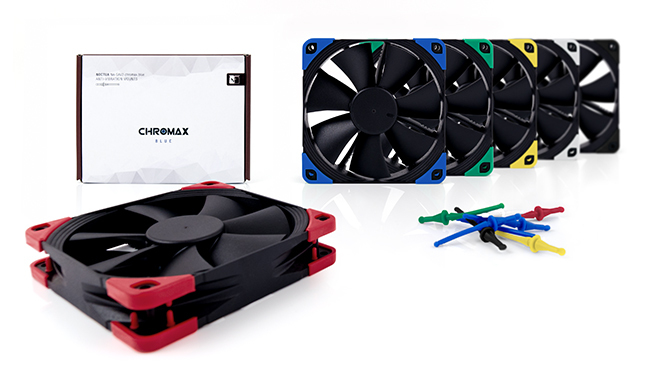 Chromax: black fans with swappable anti-vibration pads in various colours, ideal for coordinating the fans with individual build colour scheme. IndustrialPPC: rugged high-speed versions for challenging environments (water resistant and dustproof), black colour scheme. The first thing you should determine is what size and shape of fan you need. For example, you might need a 120mm size fan for your water cooling radiator vs a 40mm size fan for your router. Most Noctua fans are 12V, which is the standard for PC applications.There are also 5V and 24V models available for other applications. The latter can easily be recognised by the “5V” or “industialPPC-24V” designations. Noctua fans uses the standard 3-pin and 4-pin PWM connectors. The latter can be identified by the “PWM” designation. Choose 4-pin PWM versions if you would like to use the PWM fan speed control of your motherboard (or other devices). The 3-pin versions can only be speed-controlled by reducing the voltage with the DC setting on the motherboard (or using the supplied Low-Nosie Adapters in the case of FLX and ULN versions). However, 3-pin fans can also be used on most 4-pin headers and vice versa. Higher RPM speeds will result in higher noise levels, but remember that the relation of RPM speed and noise differs in different fan sizes (e.g. a 2000rpm 40mm fan may be quieter than a 1500rpm 120mm fan), and they also differ depending on the fan designs (e.g. the NF-S12A 120mm fan at 1200rpm is quieter than the NF-F12 120mm fan at 1200rpm). You can refer to the dB(A) specifications of each fan rather than relying on the RPM speeds only. ULN versions are the lowest speeds. Redux and industrialPPC line fans comes with mounting screws whereas the standard-line fans come different accessories (cables, adaptors, anti-vibration mounts, etc.). The chromax line fans come with mounting screws and swappable anti-vibration pads in different colours. The NF-S12A is an airflow-optimised fan that provides excellent results as a case fan and in other low- to mid-impedance applications. The 15mm slim NF-A12x15 is recommended for space-restricted applications where the standard 25mm thick models would not fit.